If you’ve had an epic baking fail – don’t worry – let Paul Hollywood explain what went wrong and show you how to fix it so next time you bake the perfect loaf. Come and explore the most common reasons for a baking fail. 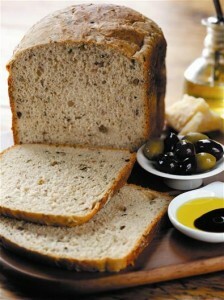 If the bread has a ‘flying top’ where the top crust breaks away from the loaf then you have most likely under proved it. Do not leave your dough uncovered when proving as it can cause the dough to develop a crust. If the crust splits at one side of the loaf then you may have baked the loaf too close to the side of the oven. If the loaf has a flat top then you may have used flour which is too weak. Always use strong bread making flour. Other potential reasons for this problem could be that too little salt was used, the dough was too wet or that the dough was poorly shaped. If the crust surface cracks after removal from the oven then you could have over-proved the dough, the oven could have been too hot or the bread could have cooled in a draft. If the dough collapses when you put it into the oven then it is likely that the dough was over-proved. If the bread has a heavy, close texture and hasn’t risen very well then there are a number of reasons for this. The flour could have too low a protein content, there could be too much salt in the bread recipe, you did not knead it or leave it to prove for long enough or you could have killed the yeast by leaving the dough to rise in a place that was too hot. If the bread has a coarse, open texture then the dough could have been too wet, over-proved or the oven temperature was not high enough. If the bread has an uneven texture with large holes then the dough might not have been knocked back properly ,which could potentially leave large air bubbles, or the dough could have been left uncovered during rising. If your bread has a sour, yeasty flavour and smells of alcohol then you have either used too much yeast.or you may have use stale yeast or creamed fresh yeast with sugar. If your bread stales quickly and is crumbly then you may have used too much yeast, the flour may not have the correct protein content or the length of time that you left the dough to prove for was either too long or too short.